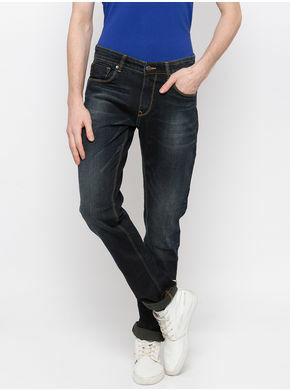 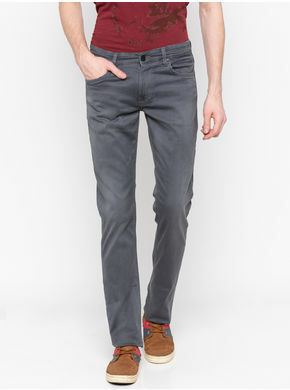 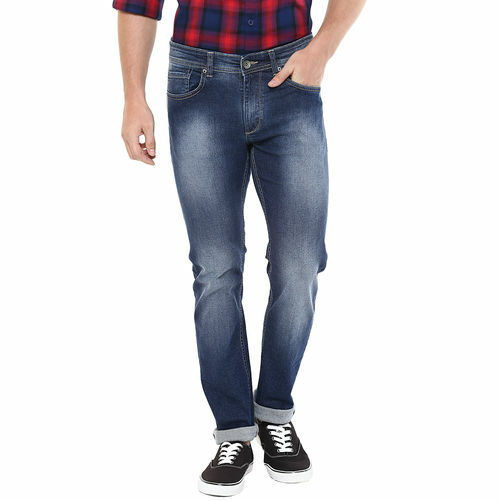 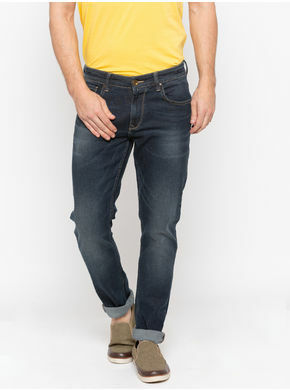 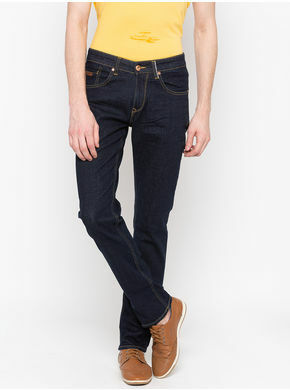 Smarten up your Friday look wearing these trendy jeans in blue hue from Spykar. 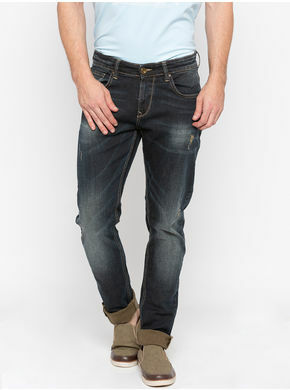 These jeans are designed to provide you with all day comfort. 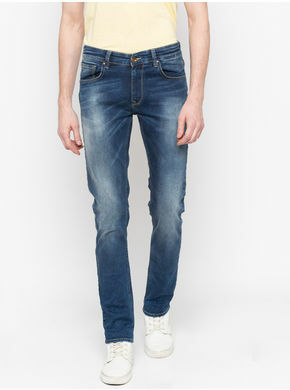 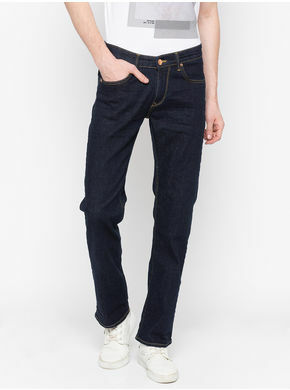 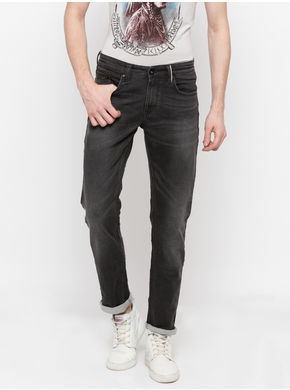 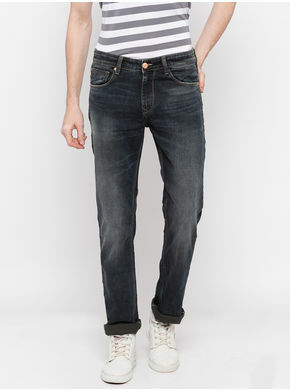 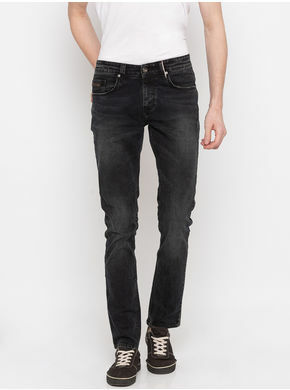 Exhibiting trendy washed effect, these jeans will go well with a printed T-shirt and sneakers.